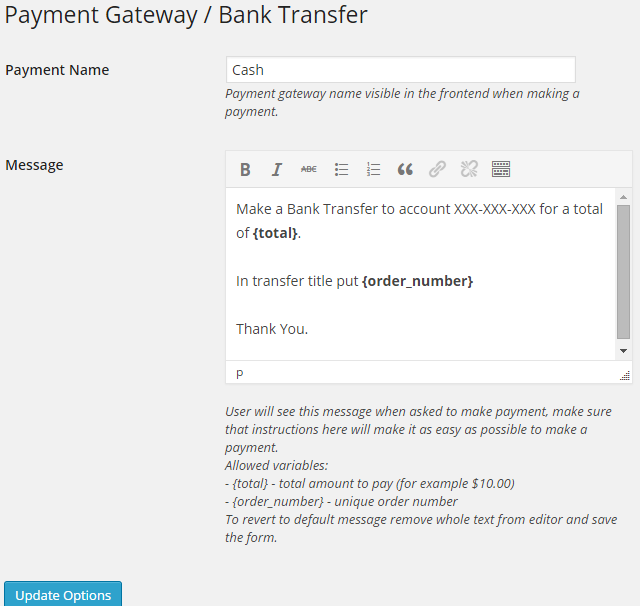 This module is by default named Bank Transfer but you can customize it to accept any kind of payments that will be manually accepted by administrator. Payment Name – this is payment gateway name that will be visible when customer will be making payment for an Ad. Message – in this text area you should enter instruction that will allow user to make a payment. When configured and enabled, your site visitors will be able to select this payment method in third step when posting an Ad.